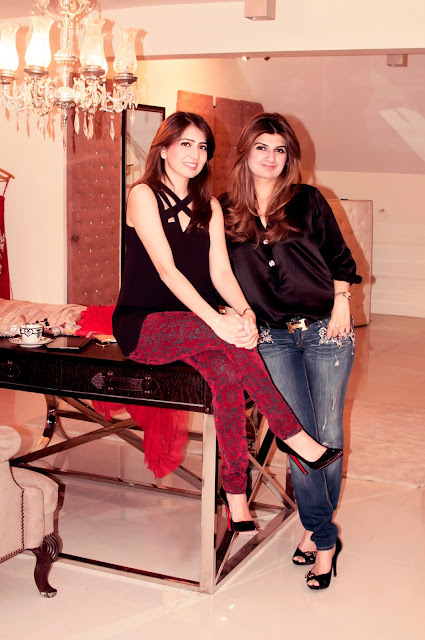 [Karachi:11 September 2013]After the success of their consecutive Eid exhibitions held in July and August, the Ayesha-Somaya design duo of Ayesha Sohail and Somaya Adnanare organizing an exclusive “One Day Only Autumn Sale!” for their patrons on Saturday, 14th September, 2013. The one day sale is applicable to select outfits from Ayesha-Somaya’sLuxury Pret and Semi-Formals designs, available at 50% off their original retail prices. The Ayesha-SomayaSale will be held between 12:00pm and 8:00pmon14th of Septemberat the Ayesha-Somaya Design Studio and Flagship Store located on Commercial Street, Phase 4 of DHA in Karachi. Prices range from Rs. 4,000 to Rs. 20,000 forall items on sale from Ayesha-Somaya’s Luxury Pret and Semi-Formal collections.